Welcome to the era of the round, shiny in-home automation system. While Nest led the charge early on, a new device, called Goji, is taking up the mantle. The Goji is an automatic deadbolt that looks like HAL 2000′s eye and can take pictures of folks who come to your door and allows you to lock – and unlock – your door anywhere in the world. The system logs all entries and exits and can notify you when someone opens the bolt. It has a small, round readout on the outside facing part of the door and a larger, more traditional-looking interface on the inside. The system allows you to give one-time keys to visitors and even unlock the door remotely over Wi-Fi. 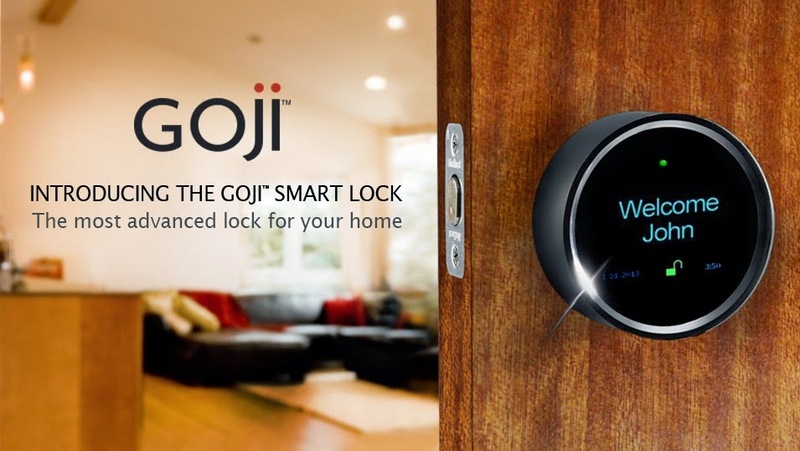 Wireless deadbolts are nothing new but few are as handsomely appointed as the Goji. Clad in a metal case with blue LED readout, the bolt attaches to any standard door and simply retracts when unlocked. It has a keyed backup system and also supports low power Bluetooth “dongles” that allow you to unlock the Goji without a smartphone. Founded by branding expert Gabriel Bestard Ribas, the Goji offers little that the incumbents like Schlage don’t already have. However, the Goji looks far sexier than any of the keypad and remote locks I’ve seen thus far. While I don’t know how many more round, shiny things my old, ratty home can take without looking like a gussied up sow’s ear, it’s nice to know these things exist.